Guayaki’s goal is to create 1,000 jobs and restore 200,000 acres of rainforest by the year 2020. To do so, it will have to grow by at least 25% annually for the next decade. It’s still fairly rare to find a for-profit social enterprise whose entire supply chain is improving people’s lives. But Guayaki Yerba Mate, whose business model is being featured at this week’s Clinton Global Initiative (CGI), is just such a company. 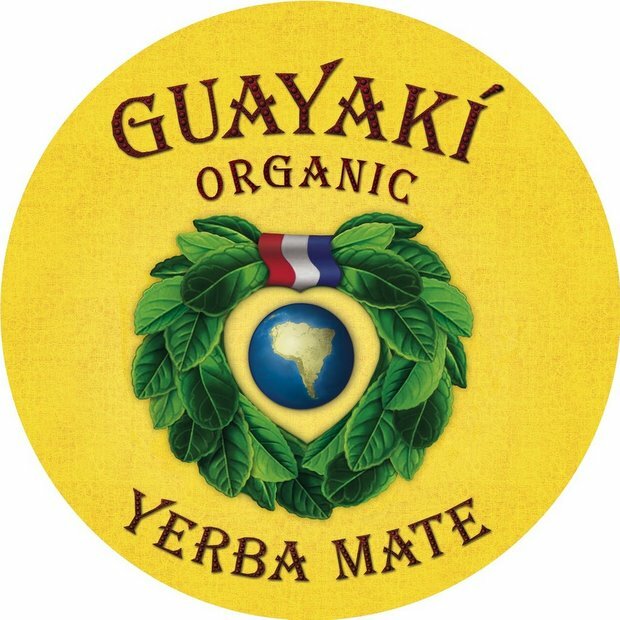 Guayaki sells the ancient South American tea yerba mate. And its goal is to create 1,000 jobs and restore 200,000 acres of rainforest by the year 2020. To do so, the company will have to become ten times bigger than it is today, increasing revenue by 25% annually for the next decade. The 14-year-old company currently does around $12 million in sales, and is growing 30% per year. Yet for every percentage of growth, Guayaki also creates sustainable, fair trade agricultural enterprises in Brazil, Paraguay, and Argentina. At CGI, the company announced plans to create a new batch of mate fields in partnership with the Marrecas indigenous community of Brazil. The harvest and sale of the shade-grown mate will provide “sustainable livelihood for 250 indigenous families and sustain and restore 40,000 acres of Atlantic Rainforest,” according to the press release. Guayaki could scale much more quickly–one or two of their operations could become large enough to provide most all of the tea leaves the company needs. But doing so would not fulfill the company’s greater mission of creating a sustainable model of social change. Instead, the founders have opted to create a network of growers, which requires a scaled-growth model–although you wouldn’t know it from their product line. There are 28 different varieties of Guayaki Yerba Mate dry and liquid products on the market, according to cofounder David Karr, who visited Fast Company and shared a traditional mate served in a gourd. But the company’s newest, and best-selling product is a mass-market canned version of the tea that has the appeal of an energy drink and sells for $1.99 at 7-11 and Krogers–far from the natural foods stores where yerba mate drinks got their start. The mate Organic Energy Shot, which can be found at Whole Foods check-out counters across the country, is one of the company’s highest margin products and already 10% of their business. Dry mate tea, meanwhile, has become just half of the overall business. And the liquid products, which were first introduced in 2005, make up the other half. Two thumbs up to Guayaki for combining just about every “business for social good” you can think of–job creation, agricultural improvement, linking cultures, and, of course, contributing to a more sustainable, healthy world. And it delivers a nice caffeine buzz too.